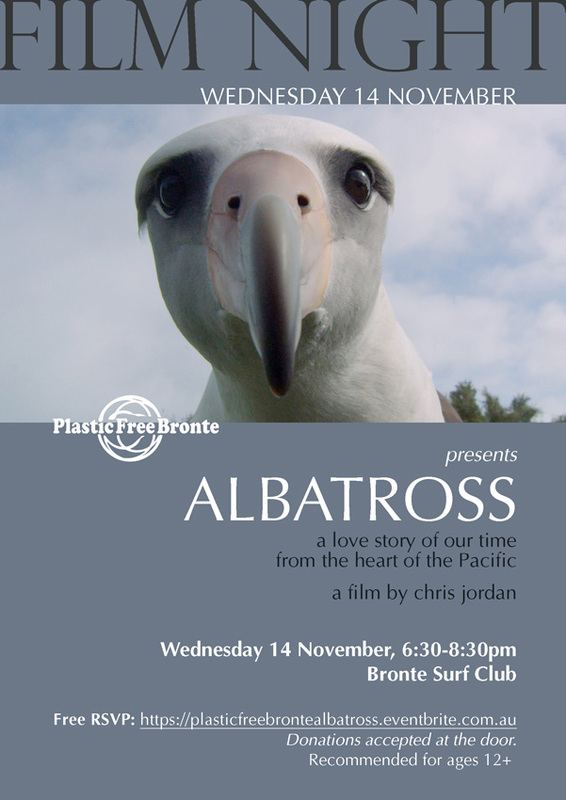 Plastic Free Bronte will be screening ALBATROSS at the Bronte Surf Club on 14 November 2018 from 6:30-8:30 (AEST). Please help spread the word to your Sydney Australia contacts! UPDATE: We had close to 200 attend the screening and raised $187.00. Thank you for making this powerful film available.